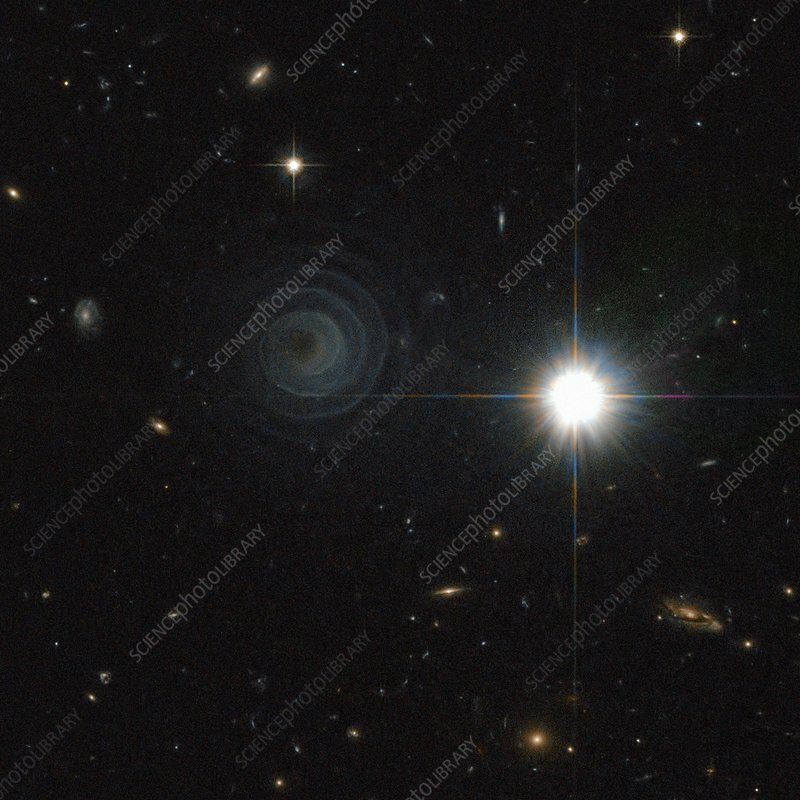 Pre-planetary nebula. Hubble Space Telescope (HST) image of the pre-planetary nebula IRAS 23166+1655 (spiral at left). Behind the spiral of gas is thought to be a binary star system. It is located in the constellation Pegasus, approximately 50 million light years from Earth. The large bright object at right is a star that is much closer to Earth than IRAS 23166+1655. Image obtained by Wide Fiels Channel of the Advanced Camera for Surveys.